This really is the question of a lifetime: What is your petronus? Well, there is a simple way to find out. 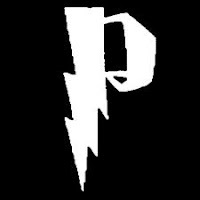 Warner Bros has an official petronus app that you can access here. It's a Facebook app, so you might need a Facebook account to make it work. But it's the easiest (and fastest) way to determine your petronus. Hint: if you follow the link and click allow and it doesn't work. Close the window and try the link again. That worked for me the first time. Did you take the quiz? What is your petronus? Even if you don't take the quiz, tell me what you'd want or expect your petronus to be. Although it always bothered me that we don't see the stag in this scene. May the Force Be You? I haven't taken the quiz and avoid Facebook apps so I probably won't take the quiz (even though it sounds awesome) but I'd definitely want my patronus to be a wolf too. I was pretty happy I got a wolf! I got a doe. Not sure how I feel about that. You got a doe because they are gentle and motherly. :) Happy Birthday! A Krakken petronus would totally rock. It's official, that's what I'm giving you for a petronus. 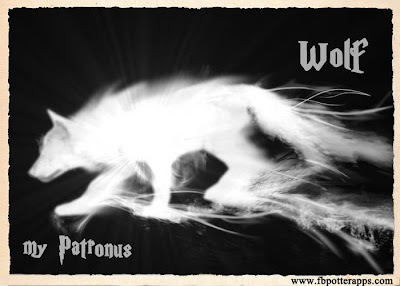 The problem is...I want a REAL patronus. And magic. And a wand. I don't want to be a Muggle! I'm right there with you. I want a REAL patronus and everything magic too! Why is make-believe so much for exciting? No. No earthworms allowed. Too close to a leach, and you know the kinds of trouble we have with those. I wanted to do Priscilla, but I couldn't think of sarcastic, snarky, or scathing question to ask. Other than WHY DID YOU MOVE AWAY? PS: I'd stick with the lynx if I were you.